The official visit of Chinese defence minister, General Liang Guang Lie to India last week was a routine diplomatic event for the both countries. Along with official talks, General Lie and the Chinese delegation led by him, were taken for sight seeing trips in Mumbai and Delhi during their five days visit. 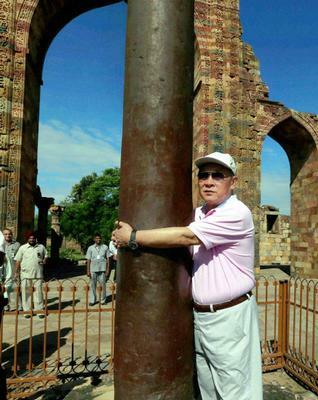 In Delhi they were taken to Qutub Minar and later to Taj Mahal in Agra. In Mumbai the delegation was shown the Gateway of India and Elephanta Caves. The 23-member Chinese delegation arrived first in Mumbai from Beijing by their own People's Liberation Army (PLA) aircraft earlier. 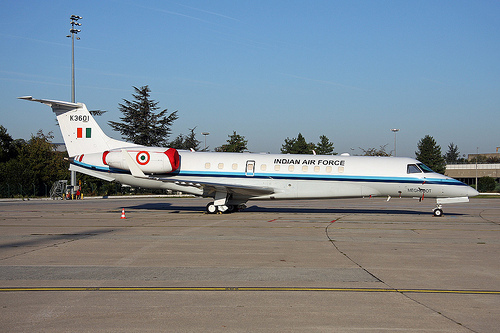 After the sight seeing tour in Mumbai, as a diplomatic courtesy usually offered to foreign delegations, the Indian defence ministry had provided the visitors with two aircraft, an Embraer Legacy EMB 135BJ jet and an Avro from the Palam-based VVIP 'Air HQ Communication Squadron to ferry them to the Indian Capital New Delhi. The initial reaction in India was that perhaps the General was not properly briefed before his visit about not giving cash gifts to IAF pilots on duty. However as news of this unusual “Hangpao” reached Beijing, the reactions from retired bureaucrats and observers do not seem to agree with this theory of the General not being briefed properly. A retired Chinese official and three Chinese scholars say that it just can not be a spur-of-the-moment decision; it must have been planned in detail in advance. But what could be the purpose of such an action? Their answer is that the Chinese delegation wanted to create confusion or rumpus in the minds of their counterparts and IAF. A Chinese official has remarked that he had not heard before of any Chinese leader offering cash tips to military officials in foreign countries. An Indian diplomat in Beijing agrees and says that he has never heard of any Chinese leader offering big tips openly. Chinese analyst say that it is common for Chinese officials and leaders to present gifts and 'hongpao' (a red envelop with cash) during official tours. But most gifts are reserved for their counterparts. There is perhaps no instance of a Chinese official offering cash to air force pilots. Observers in China gave as an example, what China did in Africa to win over African leaders. Bribes have played a key role in the country's success in Africa. But Chinese politicians have never given cash directly to any one. They have companies and private agencies to handle the job of wooing officials and politicians. With this brief from Beijing, a question arises as to what could be the reason for General's this rather unusual action? Only plausible reason seem to be that he was deliberately trying to embarrass IAF pilots and the Government. However, India is no Africa and IAF is a highly professional force. General's efforts to create rumpus in the minds of his hosts are likely to be completely unproductive to say the least. Perhaps we should treat this as just a deceptive move in the game of Chinese checkers and leave it at that. Real gainers however seem to be the two pilots who have a great story now to tell to their buddies in the officer's mess, over a glass of beer. Was there a secret message behind such cash gift? Did anyone check if the money was counterfeit? My concern is that flooding India with counterfeit currency is a threat to Indian economy. Even if the money is found to be legitimate, was it printed in India or China? If it is not printed in India, it will have the same effect as having counterfeit currency circulated in India. I agree that I have very little knowledge of economy in general, of India in particular. Also, since I live in USA, many Indians may find it very offensive that I am poking my nose in Indian affairs. If so, forgive me. I do not see any great need to delve deeply in this deceptive gaffe. Chinese just wanted to create confusion but apparently failed. However your comments are welcome.